Also covered in Auction Reports this edition, the 270-lot event on March 27 blended 20th century and Contemporary work by both British and international artists across a range of mediums. Acquired by the north of England vendor in London in the early 1970s, Mohidin’s Growth I, signed and dated 1968, sold at £200,000 to a phone bidder against an underbidder in a busy saleroom against an estimate of £30,000-50,000. 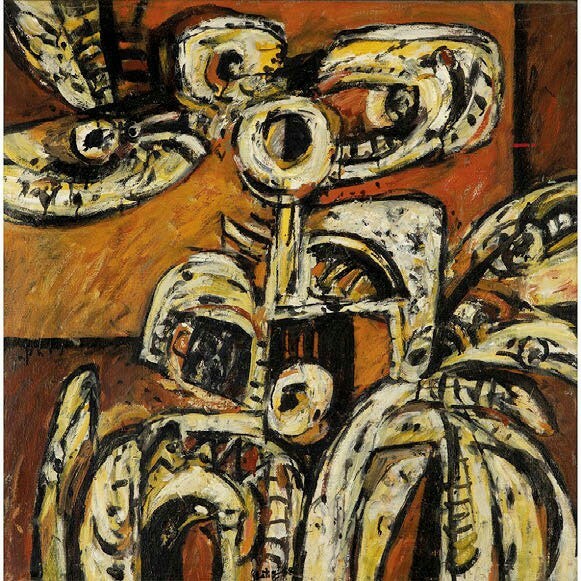 The 2ft 6in (77cm) square oil dates from the latter part Mohidin’s so-called Pago Pago period that brought him his first wave of international recognition. Similar works had been included in an exhibition at the Pompidou Centre in Paris last year. Smith was familiar with the commercial potential of the artist having sold Interlocking Forms, signed and dated Latiff, New York 1969, for £46,000 when at Mallams auction house in 2015. There were some casualties – a 1950 oil by Antoni Tapies estimated at £150,000-plus among them. However, sold for £57,000, also an auction record for the artist, was Untitled 1960 by American Abstract Expressionist Ray Parker (1922-90). 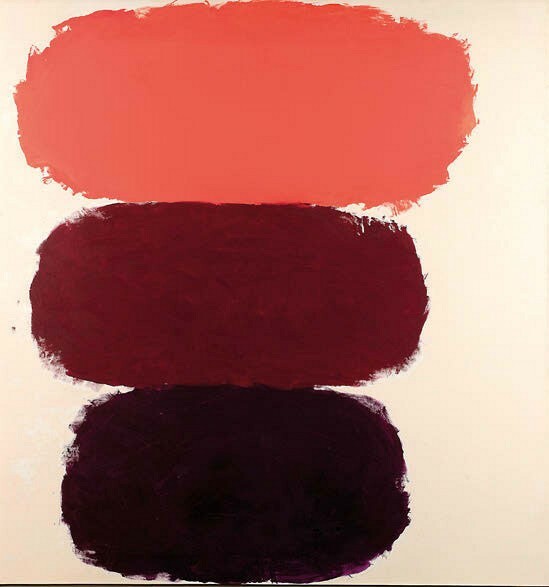 This large oil on canvas of three black, aubergine and salmon pink cloud-like forms set against an off-white background, dates from a key period in the artist’s career that would lay the ground work for the Colour Field and Minimalist movements later in the 1960s. “There is a lot of energy behind Parker at the moment. It hit the market at the right time,” said Smith. International works rubbed shoulders with Modern British and Contemporary British artists. David Hockney’s (b.1937) print from the 1980 Paper Pools series (number 873/1000) made £20,000. In January last year L&T had sold another impression numbered 524 for £18,500. Another numbered 902/1000 (there were also 122 artist’s proofs) made $24,000 (£18,400) at a Christie’s online sale in July 2018. Among the Contemporary works, sold at £10,000 was Rags to Polyester, a playful 2014 re-working of a Penguin book cover by writer and artist Harland Miller (b.1964). It led a group of 15 works consigned by one of London’s oldest charities, The House of St Barnabas at No 1 Greek Street. A small fraction of St Barnabas’ holdings of work donated by contemporary artists was offered.